If anyone were to ask me “Hey Nelson, What movie has the best visuals going around multiplex right now?” I would say “Valerian and the City of a Thousand Planets by a long margin” because there are so many worlds and environments this movie takes you on and makes you feel like a kid in a candy shop. However, this movie is by no means a masterpiece as Valerian is considerably subpar on it’s other movie elements, especially in storytelling. Valerian and the City of a Thousand Planets is a story played out almost exactly like Avatar. There is a planet that is run on pearls as it’s main resource and is governed by a friendly alien species. There is one human in power that seeks to destroy it and the main characters Valerian and Laureline (Dane Dehaan and Cara Delevingne) are there to try and save it. If you ever get confused with the plot (which I understand) just think of the story of “Avatar” and it’s essentially the same thing. I could explain the plot further and in more detail, but in doing so I am essentially spoiling the movie from this point on. That is because Valerian is one of the films that only gives you a bit of info one moment at a time either by adding new information on the plot, or you have a retelling of the story told from the perspectives of different characters. This is actually a ballsy move because if you don’t care about the movie as you are watching it, you will be completely lost. If you are into the movie, it is like a gift that keeps on giving. For me, I understood the majority of the plot but only after listening intently and memorising what was said. I liked the ideas from the plot itself but for a movie that relies on you losing yourself emotionally with the visuals Valerian expects the viewer to use a lot on intellect and memorisation of the plot to get the full concept of the movie. The intended experience, I believe, to be at one with your emotion or your intellect in the movie. In practice it does not mix, either giving you 30 minutes of visuals or 30 minutes of plot rehashing and repeating that process for more than two hours. I understood and liked both elements, but they never came together for me. There was only one moment in Valerian where the movie was particularly bad which occurs when the story just stops completely. It is the two scenes that involve Rihanna. It’s not that she was bad, it was just that her character arc made seemingly no sense in the movie’s story. Those scenes just don’t develop any of the characters, nor do these scenes have any impact of the main plot whatsoever. If you took the two scenes out that involve her, I believe the story would have made just as much sense and you would have missed nothing. There is a reason people say “They don’t make great movies anymore” For me, it’s because it has been proven time and again that people like the familiar, which is fine, but it reaches a point to which people watch the same thing over and over again to the point where we watch for the entity and not the story. That is a creative killer. Hoverever, recently I have seen some blockbuster movies that have squashed the mundane expectations that major film companies have benchmarked themselves for so long. I want this to continue but I don’t have any power to change that. Only the people can. For me, to watch two excellent movies in a row is rare. To watch 5 has been unprecedented. To see two movies in a row that have gotten 4.75 stars from me is unreal. I don’t rate movies on a bell curve. I call it like it is. I was wondering if it was just me and my positivity influencing these unusually high ratings. That is until I saw a video by the Double Toasted Podcast (Who have reviewed movies for a lot longer than I have) and they came to the consensus that this short period was the best period of watching movies they have had in the last several years. Each one of these movies is completely different, memorable and engaging in their own way and that is when movies start to hit the stratosphere. To do that, a movie must take its chances to become either a great film or a film that burns to ashes. If 2016 was any indicator to me, the movie industry was not willing to take that chance. 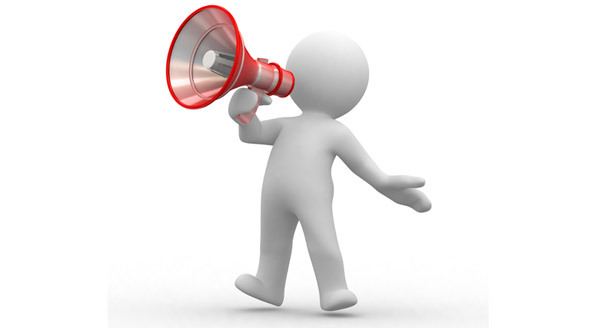 Ultimately, they knew that to protect their investment these businesses they turned to advertising and repeated the same old formulas that get tiresome after awhile. This is where you, the reader, come in. Movie industries (As well as any other industry) care about the money you make. They (like any other industry) fear it when a wave of people complain about their crappy product. With preview screenings, creative decision-making and statistics by their side, the movie industry listens intently. So it’s up to you to make a response. I hope people these days want a new twist, something that is different that you don’t expect. It does not have to be a completely original or unheard of idea, but maybe go for a movie that has that’s familiar but a little bit different creatively. The above movies, aside from Dunkirk are not reinventions but old stories told in a new light. Then I did a little bit of research and realized that David Leitch has been a professional stuntman for twenty years. That explained everything to me after seeing such a movie like Atomic Blonde. I have no doubt that Leitch will be known for his great action sequences because that alone got me through his convoluted storytelling. The story is the formulaic “manhunt for the secret document that could put the world in jeopardy” cliche. I would not have minded this had a movie like Atomic Blonde but it’s own spin on the idea. Instead, you get many characters who work for different government agencies (MI6, CIA, Stazi, French agents, Drug lords etc.) and by the final third act, they betray each other so frequently that it would take a rocket scientist to untangle all the betrayals and deceits. To top it all off, There are even multiple characters who are proud of “deceiving the deceiver”. My head was spinning with confusion. What drives Atomic Blonde home though is the action sequences. They are violent, brutal, seamless and inventive all at once. The best action sequence was a seamless long take that takes place in a staircase. The bad guys don’t go down with one punch, making them legit badasses and a real threat in the movie. The Big Sick is all about people, real people. In an era where movie tries to sell a fantasy or the surreal, The Big Sick that takes places in the here and now and embraces it. This makes all these characters relatable, a story that’s believable and has an authenticity that caught me by a pleasant surprise. I was in awe watching this movie for long stretches of time. The story about Kumil (Kumail Nanjiani) a Pakistani man who falls in love with a white girl and the relationship becomes complicated quickly with a clash of cultures as Kamul comes from a Muslim family and worries about telling his parents about his relationship. When his girlfriend is hospitalized from a bad disease that leaves her comatose, he is forced to connect with her parents (played by Ray Romero and Holly Hunter) and his own parents to try and make these new relationships work. 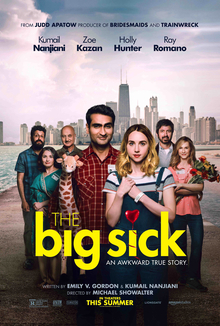 The Big Sick is a comedy movie that deals with a story that is very real in the lives of people, yet finds the tricky balance of adding humor without trivializing the story. Throughout the movie, Kumul lies to people to either impress others or for fear that his family would reject him. This leads into some funny and sticky situations at the same time. This includes some unique stand-up performances and Kumul having to try and warm up to his girlfriend’s parents in the most unlikely and awkward situations. Ray Romero and Holly Hunter committed to their roles to an unusual yet welcoming amount of depth. Their interactions with Kumul and each other are worth the watch. Romero’s character is a simple, softly spoken man while Hunter’s character is a complex, outspoken woman but they both care about their family and both are willing to fight for it. So does Kumil. It’s so refreshing to see so many characters like their take stances even when they fear the worst. How they treat Kumal is both interesting and fascinating to watch. The main deterrent to The Big Sick is the length. It is a 90-minute movie that went on for 2 hours. A lot of movies made or produced by Apatow are like this and I don’t know why. Everything needed to be said in The Big Sick is told in 90 minutes and the rest of the movie is like a game of emotional keepaway. The last half hour is not bad whatsoever but it just does it build up from the great material the movie offers in the first 90 minutes. 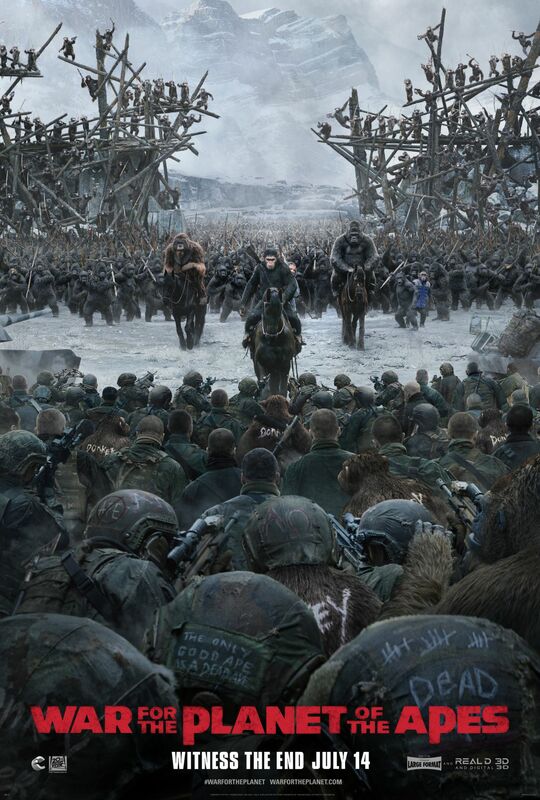 War of the Planet of the Apes- Wow! War of the Planet of the Apes is one of the best films of 2017. It intends no less than to go for broke and reap the rewards. It is a movie determined to go out with a spectacular bang and boy is this movie strong in that aspect. This movie is so brilliant that it has a good chance of being the best blockbuster that I see in 2017. Why is War of the Planet of the Apes so fantastic? It masters the basics requirements of what makes a great movie. It has great action, special effects, characters, and drama. Most blockbusters can barely get one of these things right let alone all four. What glues all four of these cinematic aspects together is a great story about the ape Caesar (Andy Serkis) wanting revenge against a ravenous Colonial (Woody Harrelson) seeking to kill apes whom he believes caused a virus, leaving humans with the inability to speak. The tension rises when the Colonial hatred starts to reflect Caesar’s and aims to consume him. The moral complexity ensues from there which makes this film so great above all that made the movie great. This film is both, equally, about understanding and misunderstanding. This is why I don’t consider Woody Harrelson’s as a fully-fledged villain. He kills apes as he believes it stops spreading a terrible disease. His actions come off as hateful but his intentions do not. It’s within his interpretation of a crisis situation that causes the pain and misery that festers throughout the film which is the inability to understand that the apes are not savages. From this story, you can see how much influence Apocalypse Now had on this movie. There even graffiti that says “Ape-pocalypse now” sprawled across an underground wall. My favorite movie last year was also inspired by that same movie but War of the Planet of the Apes is a more hopeful film, a film that has the epic feel to it. This movie does not back away from the brutality and pain but it does remind you there are sparks of hope along the way.